Bhí an craic agus spraoi againn í rang a trí le haigheadh Seachatin na Gaeilge. Inniu, chuamar go dtí Café Spraoi chun cluiche a imirt agus gaeilge a labhairt. Buíchoas mór do Múniteoirí Aedin agus Christina. 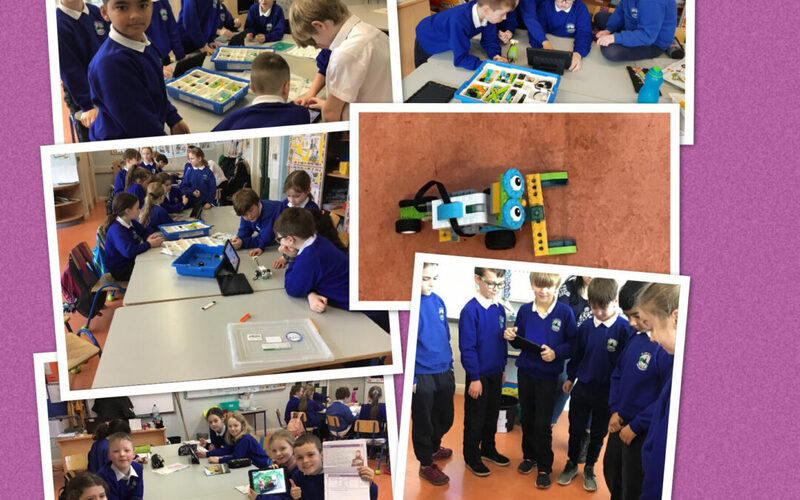 We have been very busy this week designing and building our very own Lego robots. It was great fun working together as a team and seeing our creations come to life!